With advances in medical science, we now know that aging is a treatable condition that can be slowed and reversed by the use of Anti-Aging medicine. As we age, our body deteriorates from the inside out. All body systems (brain, heart, musculoskeletal, endocrine) accumulate toxins from the environment. The cellular damage from free radical generation, and our stem cell population decreases. Through gastrointestinal (GI) tract degeneration/,GI tract microbial imbalance and environmental toxins we are not able to absorb the required vitamins and minerals for optimum cellular health. Through these mechanisms, our endocrine (glandular hormone producing system of thyroid, pituitary, ovaries, testes, adrenal glands, etc) reduces output of essential hormones. Symptoms and conditions such as chronic fatigue, memory difficulties, mood changes, insomnia, weight gain, and chronic pain can be considered to be age-associated or degenerative processes and can benefit from proper age-management treatment. Proper age-management treatment can also improve and complement traditional medicine treatments. A cornerstone of effective Anti-Aging treatment centers on optimizing proper nutrition through diet and vitamin, mineral, and antioxidant supplementation. This alone can improve hormone balance if the hormone imbalance or deficiency is mild in nature. If hormone deficiency is moderate or severe, supplementation with bio-Identical hormone replacement (BHR) may be indicated. Bio-identical hormones are hormones that have the exact molecular structure as human hormones. These hormones have the most predictable effects on the body compared to non-bio-identical hormones. Chelation therapy is a well-studied technique to remove accumulated metal toxins from the body. In fact, the NIH is currently conducting a research trial on the effect of chelation therapy on cardiovascular disease. Chelation can be through intravenous, suppository, or an oral route. Researchers from the Harvard School of Public Health have found that the anti-aging lifestyle can add 24.6 more years of productive lifespan. We can now strengthen your immune system, replenish declining hormone levels, maintain and repair cells and organs based on your individual profile. We can use a natural approach to tone sagging muscles and reduce body fat. We are now able to assist with any desired cosmetic changes for a total well rounded YOU. At Fountain of Youth, Dr. Mendoza will prescribe an individualized plan that centers on improving your overall health! 1. Enjoy remarkable improvements in your general health, your mood and with greater mental speed and clarity. 2. Slow down the aging of your brain cells and stop the aging system of progressive tissue injury and other related aging diseases. 3. Improve your skin texture, tightness, and moisture. 4. Rejuvenate your energy levels, your sexual performance, immune system vigilance and age related growth factors. 5. 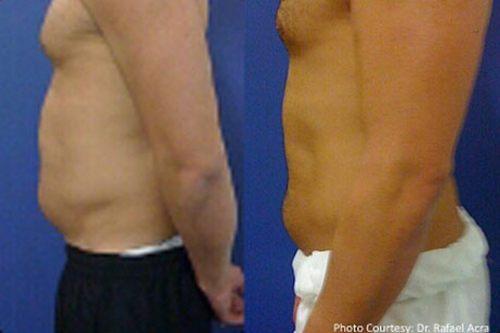 Re-contour your body, restore muscle tone, and reduce body fat. Schedule your consultation with Dr. Mendoza to discuss how our Anti-Aging programs can help you.